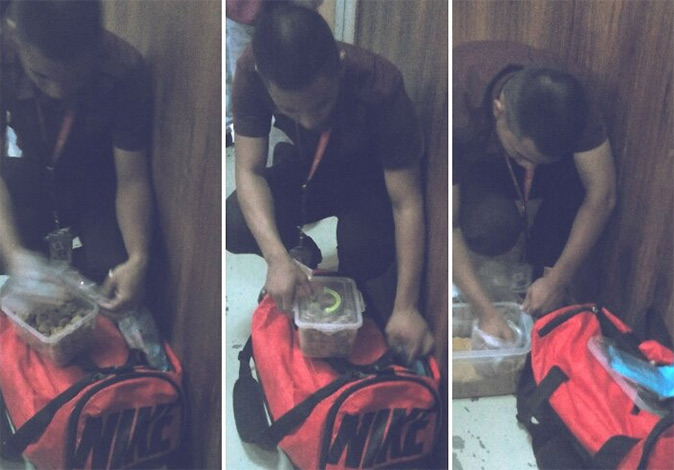 This is an inspiring story: John Eric Ventura, a criminology student at Emilio Aguinaldo College in Cavite, sells graham balls to pay tuition. According to Rafunzel Alpuerto, the hardworking freshman was able to finish high school and enter college by just vending the dessert made of graham crackers. The netizen initially thought Ventura was a varsity player because he always brings with him a large bag. She found out later that its content were plastic containers full of graham balls. Ventura, she said, assists his mother in making the food product. A commenter revealed that he also vends lumpia around the school campus. Alpuerto's post about the inspiring crim student already got more than 125,000 likes and over 30,000 shares on Facebook. Some netizens shared the link to the "Kapuso Mo Jessica Soho" (KMJS) page and asked the show to feature Ventura's story.